For me, “community” is rooted in fellowship with others as a result of sharing common attitudes, interests and goals. One of the most important obligations of a community is to make sure that its children have a chance at a successful future. Protecting vulnerable young members of the community who do not have a voice – from neglect, poverty, abuse and violence – is essential. It is also the community’s responsibility to promote education. When I became community and kindergarten readiness ambassador for Vroom, an initiative of the Bezos Family Foundation, my eyes were opened to the need for more educational development in our small, rural community of Foxworth, Mississippi. We did not have the resources for parents to support their children’s learning outside of school and the closest library is 30 miles away. Many families lack transportation. I knew there had to be a way to inform parents how important it is to educate young children at home before entering kindergarten. Yet, for families living in poverty, parents often wake up in survival mode and stressed about whether they can pay the electric bill or stretch the food supply. As a result, I found that many parents were forgetting to take an active part in the education of their children. The arrival of Vroom transformed our community. With the help of Vroom tips, I was able to connect with local businesses and churches in the community and demonstrate how they could support early child education. To reach a broader area, I set up a social media Vroom page highlighting how easy it is to incorporate Vroom into everyday activities. I literally saw the community begin to light up! I began to receive feedback from parents on how they incorporated Vroom into small daily tasks like cleaning, bathing and riding in a car. Understanding the need for these resources, stores allowed me to put up posters and flyers. I created Vroom placemats for restaurants to pass out to families waiting for their meals so they were able to have a literacy experience together. Three churches allowed me to come speak about Vroom. During these events, I would have Vroom pamphlets, posters, tip cards, shirts, keychains and books to distribute. At the community’s fall festival event, children were able to pick pumpkins with tips attached to them. As the word spread, people would actually stop me as I walked down the street or call and say that they had seen my posters and wanted to know more about the five basics of Vroom (Look, Chat, Follow, Stretch, and Take Turns). It was during these conversations that I met Katheryn Lowery and her daughter, Abby Raye (at left). Mrs. Lowery stated that she was 36 when she found out she was expecting. She was not familiar with Vroom techniques and did not believe she had the skills to teach her daughter. What an opportunity, to share with her that she already had what it takes to be a brain builder. Now when I see her, Katheryn tells me how much she loves Vroom tips and how she is better equipped as a parent to support and identify appropriate development milestones for Abby Raye. Enthusiasm for Vroom throughout the community has continued to grow, and local leaders, businesses and churches have become Vroom partners. At a local collaborative meeting, I gave community leaders the opportunity to try Vroom tips out themselves. Mark Rogers, a local journalist, and Chief Deputy Sheriff Jamie Singley couldn’t hold back their laughter as they practice the “Smile and Wink” activity. By taking part in actual Vroom activities, community leaders experienced the actual effect of the Vroom tips versus just listening to the benefits that they offer. After the meeting, these leaders went out and continued to spread the word about the importance of early learning for children. Vroom has strengthened our community in many ways. Law enforcement personnel share Vroom tips and books with children during security checkpoints. Medical clinics display Vroom posters and books in waiting rooms and the local custard stand gives out information at their drive-through window. 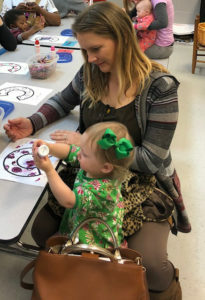 Child protective services has mandated that parents who have had their children taken away attend the Vroom Play & Learn groups to increase their knowledge of early literacy to help them regain custody of their children. The local newspaper publishes articles highlighting the importance of Vroom for early development and local radio station invited me on air to emphasize the benefits of Vroom. Without the support of community and the Vroom initiative, it would have been impossible for me to reach out to the families in Marion County and share strategies to help children learn early. However, with community support, the children entering kindergarten this year in Marion County are much better prepared for success. Helen Keller was right; alone we can do so little, together we can do so much more. Across the world, millions of children leave school without learning to properly read and write. Angelita, age 9, was at risk of becoming one such child. Although she was enrolled in a primary school in her rural Indonesian village, Angelita was a struggling student. If a young child gap struggles with reading, they risk falling behind and may never catch up. In fact, if children don’t get the help they need to learn to read, then the gaps between struggling and strong readers widens and worsen as they grow. As a young girl growing up in a place that grapples with widespread poverty and political instability, Angelita is one of 575 million girls who live in countries characterized by discrimination against girls.1 As reported in Save the Children’s 2018 End of Childhood Report, girls are more likely than boys to never set foot in a classroom. At last estimate, some 15 million girls of primary school age would never get the chance to learn to read or write in primary school. And for those girls who are enrolled in school, the opportunity to develop as a reader is not guaranteed. 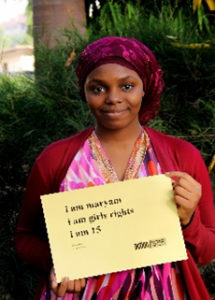 In fact, only 94% of girls 15 and older are literate. 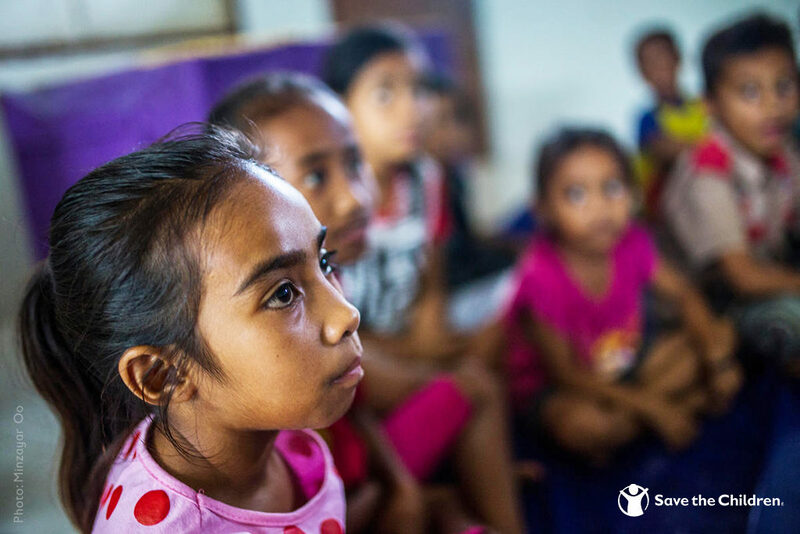 Angelita attends a Save the Children ‘reading camp’, a program that aims to boost literacy rates, at a Save the Children-funded model primary school in West Sumba, Indonesia. Save the Children has worked in Indonesia for more than three decades. Thanks to the generous support of our sponsors, enrollment for girls in sponsorship schools rose by nearly 5% over 2015. With your support, we are working to give children in Indonesia and around the world early learning opportunities at home and in school. 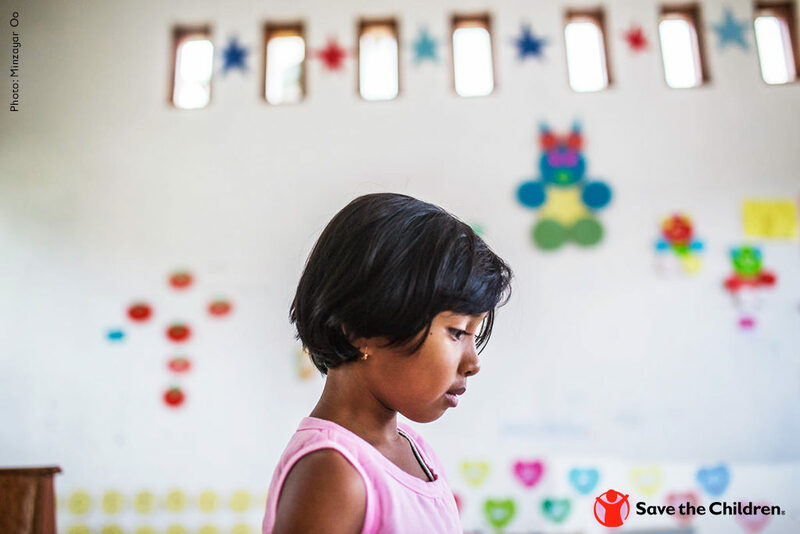 For just over a year now, 9-year-old Angelita has been taking part in a Save the Children ‘reading camp’ – a vital afterschool program that boosts the literacy of 7 through 9-year-olds and gives them the skills to succeed, even when learning in overburdened school systems. To learn more about Save the Children’s work to support child literacy around the world, visit our website. Literacy opens the door to a brighter future. A child’s early years are critical in shaping their development and lifelong learning potential. However, if a young child struggles with reading, they risk falling behind and may never catch up. In fact, if children don’t get the help they need to learn to read, then the gaps between struggling and strong readers widen and worsen as they grow. Poet and author Emilie Buchwald wrote, “Children are made readers on the laps of their parents.” But for children living in poverty, and those with few books or no one to read to them at home, the chance to become a lifelong reader may seem out of reach. In fact, children in poverty are less likely to attend preschool and often live in households where early learning activities are few and far between. That’s why Save the Children’s education experts support children, parents, caregivers and schools to develop literacy skills from birth. There are many things you can do to support child literacy as well, and ways you can get the children in your life reading and succeeding, as a result. In many rural communities where Save the Children works, the school library is the only place where children can access books. When children don’t have access to books or have family members regularly read aloud to them, their reading scores dive far below the national average. By the time they’re 3 years old, children from low-income families have been exposed to 30 million fewer words than their more affluent counterparts.3 Reading and being read aloud to has an impact that extends beyond just hearing stories. When children are read to at home, they are able to count to 20 or higher, write their own names, and over 1 out of 4 of those children are able to recognize all members of the alphabet.4 Children who read at home also score higher in math. What is the best way to teach a child to read? The first step on the path to literacy is teaching children letters and the sounds they make. You can read along with a child to help them identify and sound-out the different noises in a word. As children take these precious first steps towards literacy, parents should gradually expand their selection of reading material to help children learn new words. Children need to learn to read accurately and with understanding. The best way to teach a child to do that is to ask them questions and encourage them to think carefully about the words. As anyone who has learned a second language can tell you, learning these skills once is not enough. Children need to develop fluency, which only comes from practice. How can I improve my child’s reading skills? Nearly every parent has asked themselves, “How do I help my child read at home?” Let’s reframe that question. Instead, think of how you can make reading more enjoyable for your child. It can be a big mistake to turn reading into a power struggle, or to unintentionally train children to see reading as something done just for a reward instead of for enjoyment. Kids like to read when it’s fun and when it’s relevant to their interests. Parents will notice their children are full of questions. If your child shows curiosity about a specific topic, visit the library or bookstore and get them a book on the subject. If they have a favorite TV or movie character, see if there are a line of books that continue that character’s adventures on the printed page. In addition to wanting to read more, your child will also expand his or her imagination. At what age should a child be able to read? Although every child is different, most children are able to read between the ages of 4 and 7. Some children start learning to read and write their letters, or recognize signs and symbols as early as 3 years old. Gradually, their reading proficiency grows and they start to ask questions about words they can’t sound out or do not understand. While some children are slower to develop reading skills, most should be able to read with fluency by the time they’re 7 years old. However, children who do not develop literacy skills early-on can face serious disadvantages in the classroom. When a child’s reading skills are not in-step with the timetable for their school, those children fall behind. Poor reading skills may not only affect their grades, but also take a toll on their confidence or create educational problems in other areas. How can I help my Dyslexic child learn to read? Dyslexia is a disorder that affects children of all ages and learning levels — even children with above average intelligence. Dyslexia is a learning disorder that affects the way the brain processes information. For children with dyslexia, certain parts of their brains process words on a page differently than most people, which makes reading much harder for them. Dyslexia is typically diagnosed during pre-school or elementary school years. Dyslexia can be overcome. Kids with dyslexia can work with a teacher, tutor, specialist, or their parents to improve their reading. In particular, dyslexic children need extra help memorizing sight words. Parents can help by trying to engage all of their child’s senses when learning something new. For example, if a child is struggling to remember a letter, encourage them to use their finger to trace-out the shape of the letter. Repetition is also important to helping dyslexic children overcome their challenges. Similarly, talking about what they read and/or heard can help them better understand what they’ve read and increase comprehension skills. 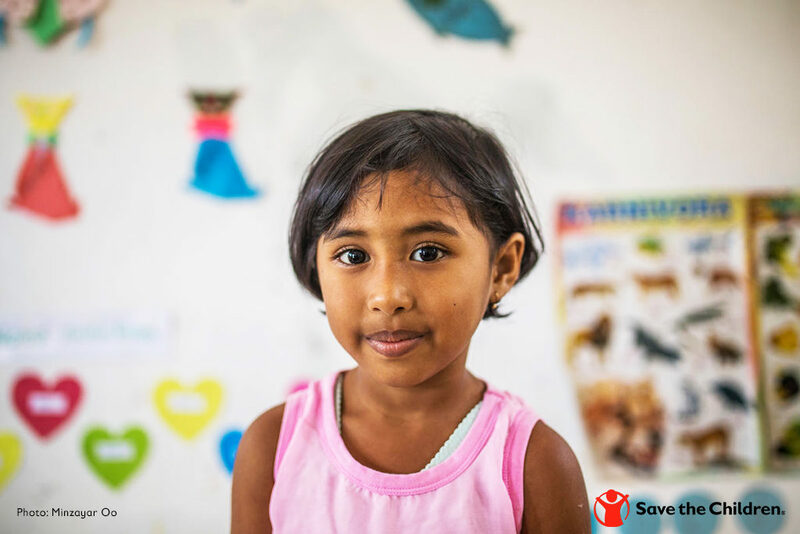 Supporting Save the Children’s literacy programs ensures that children in the U.S. and around the world will be introduced to reading and writing at a young age, and that they will be given the opportunity to reach their full potential. To learn more about the work Save the Children has done to support child literacy and help set children up for success, visit our website. By Dan Stoner, Associate Vice President of Education and Child Protection at Save the Children. 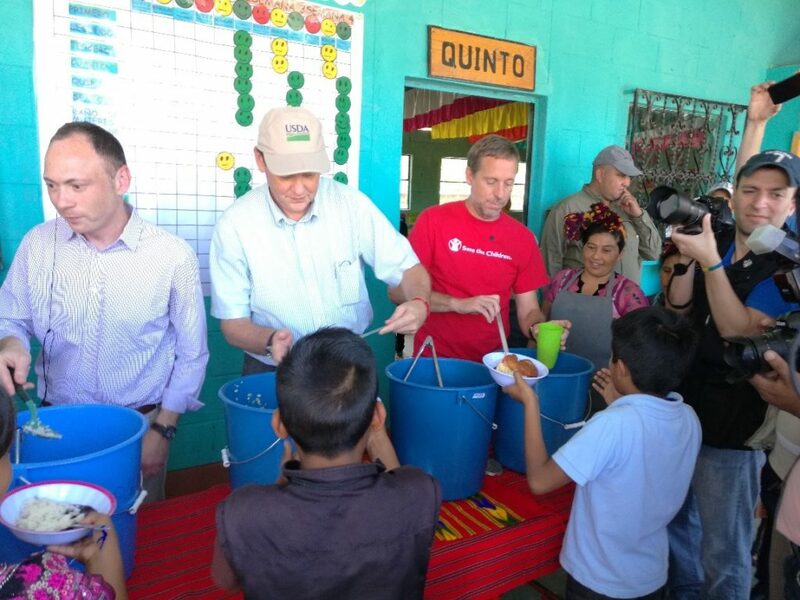 In August 2016, I had the privilege of visiting Save the Children’s IDEA project in Guatemala with Jonathan Cordone, the then Deputy Undersecretary of the US Department of Agriculture (USDA). IDEA is a USDA project funded through the McGovern-Dole Food for Education Program. IDEA is one example of the many international humanitarian and development programs that would be a casualty of the President’s drastic proposal to cut U.S. international affairs funding by roughly one-third. 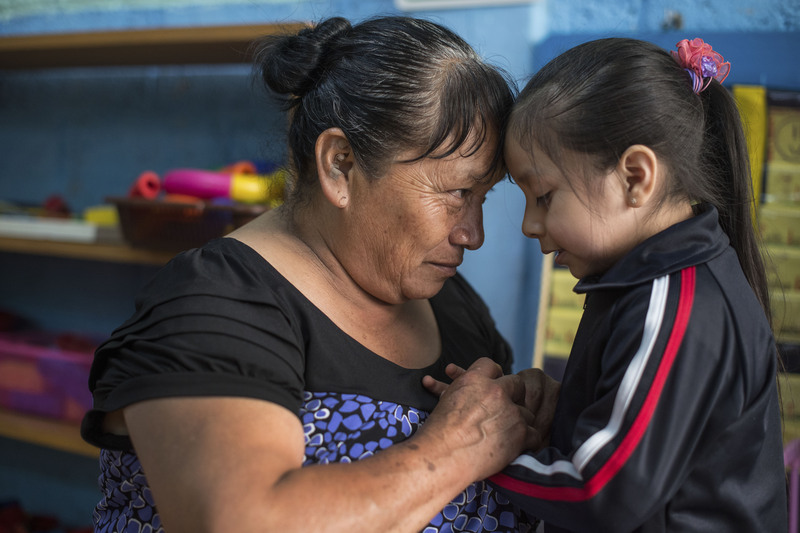 The justification for the cut was that the program lacks evidence that it is being effectively implemented to reduce food insecurity, but our Guatemala program shows that it is indeed making a difference in the lives of children. In the Guatemalan Western Highlands, more than 60% of indigenous children are stunted and more than half are malnourished. 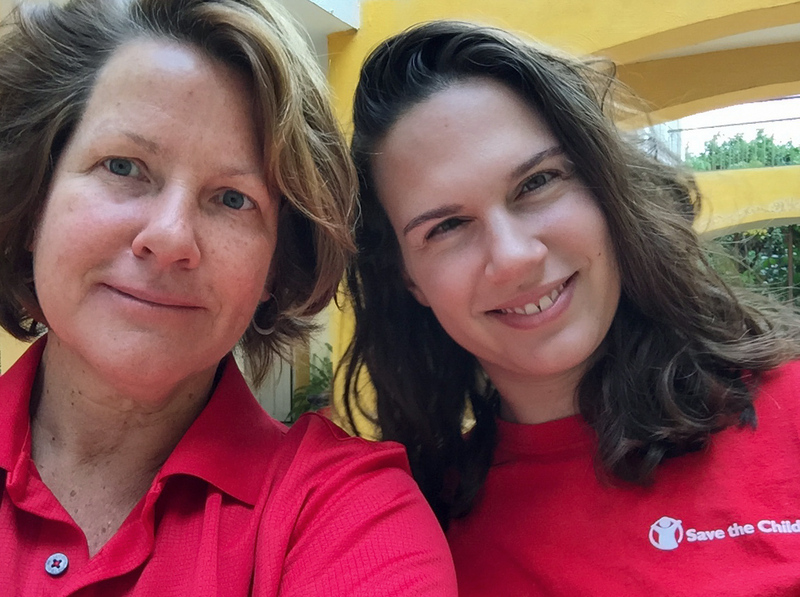 Through the IDEA project, Save the Children feeds more than 43,000 school age children per year, directly addressing food insecurity in the most impoverished region of Guatemala. The McGovern-Dole program goes beyond just feeding children who otherwise would not have, in many cases, even one nutritious meal a day. It integrates health, nutrition, and education interventions that enable children to reach their full potential. The IDEA program has transformed barren cinderblock classrooms into engaging environments (as seen below) designed to cultivate children’s curiosity and encourage their love of learning. As a result of the USDA McGovern-Dole program, these children have learned to read in two languages: the indigenous K’iche’ language and Spanish. While the program is based in more than 260 rural schools in Quiche province, its impact extends beyond these communities. 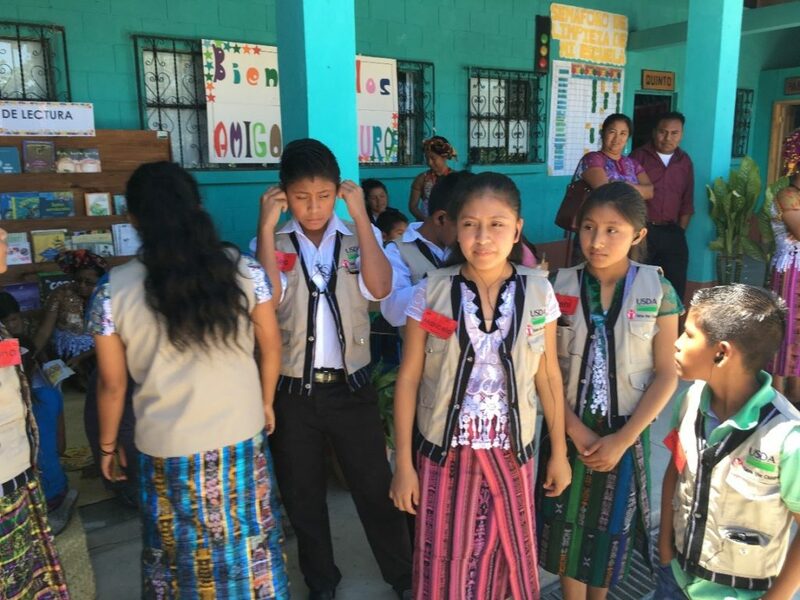 Ministry of Education officials who have seen the program work, have adopted program methodologies and manuals from the IDEA program to be used in all of Guatemala’s public schools. The government officials were so supportive of the program that they asked Save the Children to implement it in schools that were more remote than originally planned and paid for the additional costs of doing so. This support and buy-in from the local government is a testament to the impact of USDA McGovern-Dole programming on the most vulnerable populations in Guatemala. 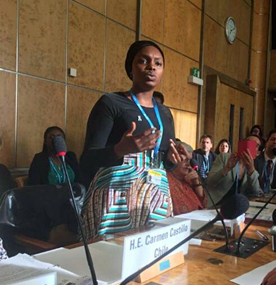 In this story I am talking about one school, but one that is as vibrant as any I have seen in my 25 years in international development. The IDEA program reaches 260 schools. McGovern Dole has 46 active programs around the world. USDA and USAID reach millions of children in schools just like these every year. The impact in the Western Highlands is an example of how the McGovern-Dole program reduces hunger and improves literacy and primary education globally. Each year, the McGovern-Dole program feeds over 3 million children and their families around the world while providing comprehensive education interventions designed to ensure the future success of today’s school-age children. 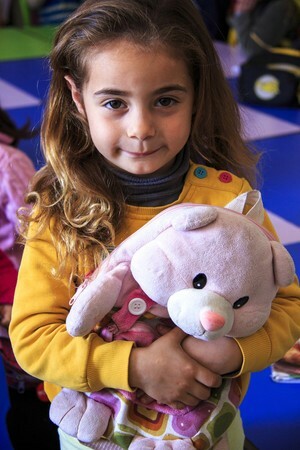 This is just one example of a proven bipartisan program that gives children around the world a brighter future. At less than 1% of the entire federal budget, slashing international affairs won’t make an impact on the deficit, but the impact on children will be devastating. Congress must continue to invest in programs like these – they’re worth every penny.